I think we can all agree that your canine companion (or feline friend!) is pretty much like a fur-child. They become part of your family and you get to experience all the ups, downs, ins, outs, and silliness just as you would with a real kiddo. I have a boxer named Lexi, and she’ll be ten this year. As old as she is, Lex still has an endless supply of energy… and shenanigans! We have had her since my youngest stepkiddo was three. He’s had his doggo buddy for literally as long as he can remember, and I love that he could experience that as a child growing up. I think that’s why this Soul Mutts stamp set speaks to me on a personal level. I look at the images and sentiments and it makes me happy and sad all at once. I love it. To stamp the image for “no-line” coloring, I used Hero Arts Shadow Ink in Soft Vanilla. To make the dog and girl stand out a little more, I fussy-cut both and layered them on the card front with foam squares. Thanks for popping in today! Be sure to pin this card to your Pinterest inspiration board – I’d really appreciate the love! 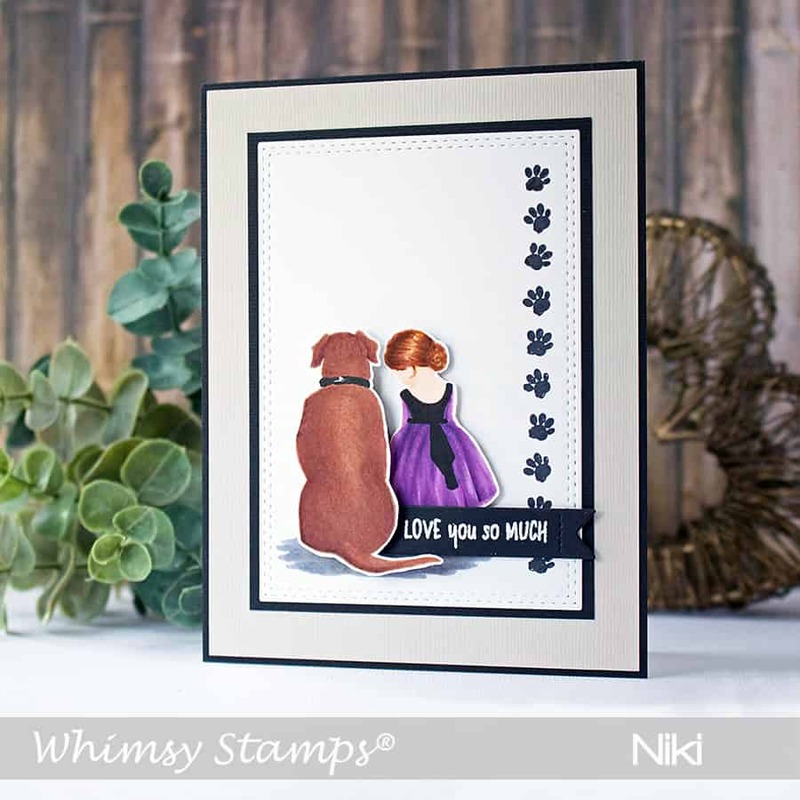 PS – If you like the look of no-line coloring, you’ll love this card too!